Perfect note from Australia. | WHY DO WE LOVE CHOCOLATE? 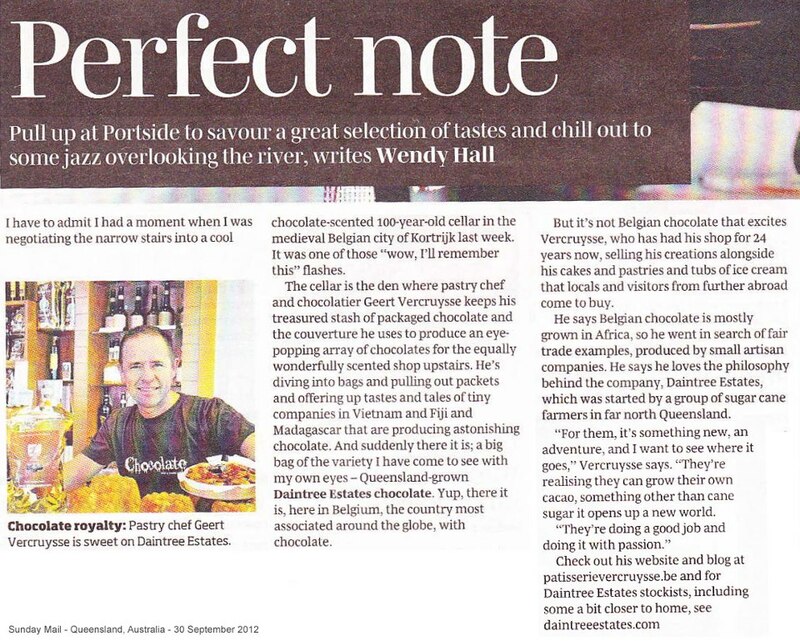 Article published in Sunday Mail (Queensland) today by Wendy Hall following her visit to Patisserie Vercruysse in Kortrijk, Belgium to meet Geert Vercruysse. Always nice to see such articles posted, thanks Wendy and Daintree Estates.